Send Blacksmith Games a sketch/design/description for a unique fairytale Plushed Character. Send it to contest[at]appventcalendar.com (replace [at] with @). Please send only jpg,png,gif and please no zip. It should be an enemy and should fit into the Plushed World. You decide its qualities (running, sitting, shooting, flying…). We recommend to play Level 5(Cotton Candy Park) to get an impression of the atmosphere. On December 29th we will choose the best 5 Characters and show it on AppventCalendar.com. People can vote the best and the winner will get a $200 iTunes Gift Card(for US Account). 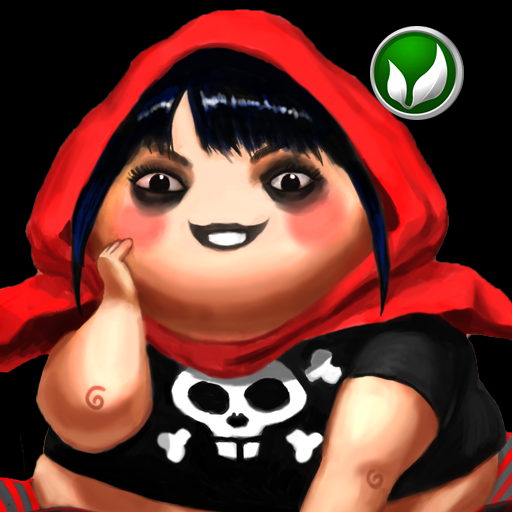 We will animate the character and then the Character will appear in Level 5 in the next Update. 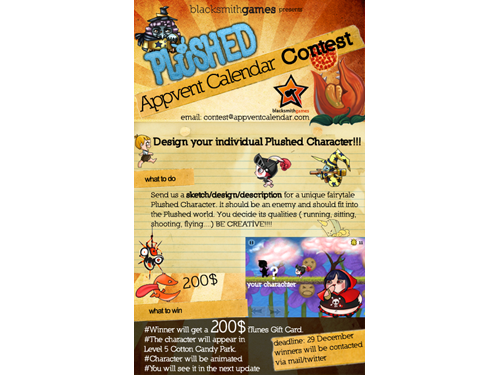 Now get out there and start designing, sketching, and describing the best Plushed character you can come up with! We would like to thank Blacksmith Games for providing us with such a great promotion. Let's do it again next year! What do you say?